Philadelphia needs trusted leadership to continue the progress we have made at the City Commissioners Office. In the last three years, I have worked to modernize the Office of the City Commissioners, to make it more transparent and to expand our outreach to make sure that every eligible Philadelphian knows how to cast their ballot. I’m proud to say that, over the course of my time in office, we’ve seen record-breaking turnout in national and local elections. We’re working with local colleges and universities to get every freshman registered. We have also worked with the ACLU and the Philadelphia Department of Prisons to ensure that detainees who are eligible to vote are registered and know what they have to do to participate in our election process. But there is still more work to be done. As City Commissioner, I will work with our elected leaders in Harrisburg, from Governor Wolf to legislative leaders to members of the Philadelphia delegation, to modernize our outdated election laws — which make it difficult for men and women across our commonwealth to exercise their most important rights in our democracy. We need an experienced hand at the wheel to help administer the 2020 election. Not only will it be the most important election in our lifetimes, it will also mark the first federal election with the new voting machines. I believe that my proven leadership will help ensure an efficient, orderly election. PHILADELPHIA, PA (March, 4, 2019) - Former Pennsylvania Governor Edward G. Rendell has announced that he has endorsed City Commissioner Lisa Deeley for re-election. Rendell joins a growing list of individuals and groups to endorse Deeley’s bid for re-election. The former Philadelphia Mayor said he is endorsing Deeley because of the changes she has brought about in the City Commissioner’s office. 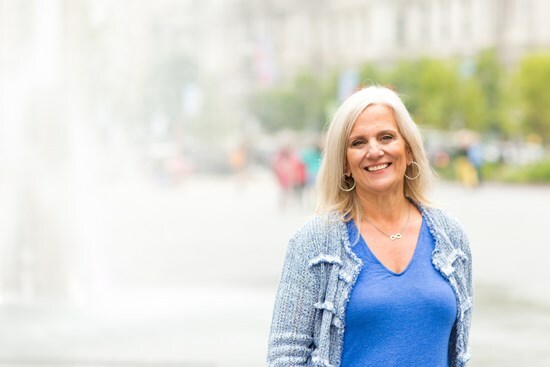 PHILADELPHIA, PA – This morning, Philadelphia City Commissioners Chairwomen Lisa Deeley announced her intent to seek reelection. In a ceremony held inside the mayors reception room at Philadelphia City Hall, Commissioner Deeley was joined by Mayor Jim Kenney, Council President Darrell Clarke, and other state and city leaders, who discussed the progress Deeley has made in three years.